There are two main methods investment managers use to rebalance portfolios. The first is simply to check your asset allocation over specific time intervals like every month, quarter, or year. Obviously, the more frequently you rebalance, the less likely your portfolio is to stray from your intended allocation. However, even if you check your allocation and rebalance frequently, periodic rebalancing doesn’t account for large market swings. If you rebalance on the first trading day of every month, you could easily fall “out of whack” if the market drops 20% on the second trading day of any given month. Even though you’d fall pretty far out of balance, further rebalancing wouldn’t be triggered for another 29 or 30 days. The second method utilizes risk thresholds instead of time intervals. Rather than “taking a look” at your portfolio and automatically rebalancing every so often, risk thresholds only trigger a rebalance when your portfolio strays too far from its intended allocation. Risk thresholds are also known as “tolerance bands”, since you are tolerating a set amount of drift in your portfolio’s allocation. In practice, this approach works best when you have technology available to help. Most people don’t want to spend time every day monitoring their portfolio to ensure it hasn’t drifted beyond their risk threshold. Rather, risk threshold rebalancing works best when you have an automated system to keep an eye on things and alert you when it falls outside of your target. Whereas periodic rebalancing triggers trading every single time your time interval expires, with risk threshold rebalancing you could go months or years without ever making a trade. A third popular method is to combine periodic and risk threshold rebalancing. In doing so you’d review your allocation every so often, but only rebalance if it falls outside your assigned thresholds. This is the method I tend to favor when transaction costs are present, and is actually what I use in my financial planning practice. Since most trades come with commission charges for stocks, bonds, or ETFs, or redemption charges or loads for mutual funds, there is a cost every time your portfolio is rebalanced. Because of this it’s important to examine whether the benefits of rebalancing outweigh the costs. Let’s say your portfolio consists of eight different ETFs. They cover a broad spectrum of asset classes, and you plan to rebalance them every six months. You hold your account at a discount brokerage firm, which charges you an $8.99 commission every time you buy or sell an ETF, a stock, or a bond in your account. Is it worth it to rebalance? Doing so would require eight separate transactions: four sales and four purchases, for a total cost of $8.99 * 8 = $71.92. Really, the decision comes down to account value. If you’d just funded a Roth IRA for the first time with a $2,000 contribution, you’d probably want to skip the rebalance. $71.92 is 3.6% of a $2,000 account, which is a pretty significant chunk. Plus, your portfolio isn’t far enough from your optimal allocation to cause any concern. There’s not enough justification to incur the cost. On the other hand, if you had $750,000 in the account it might be worth rebalancing. $71.92 is only 0.10% of $750,000, making the cost relatively insignificant. Again, you’re not far enough off of your optimal allocation to be concerned. But if you preferred narrow risk tolerance bands, 0.10% is probably a cost you could stomach. 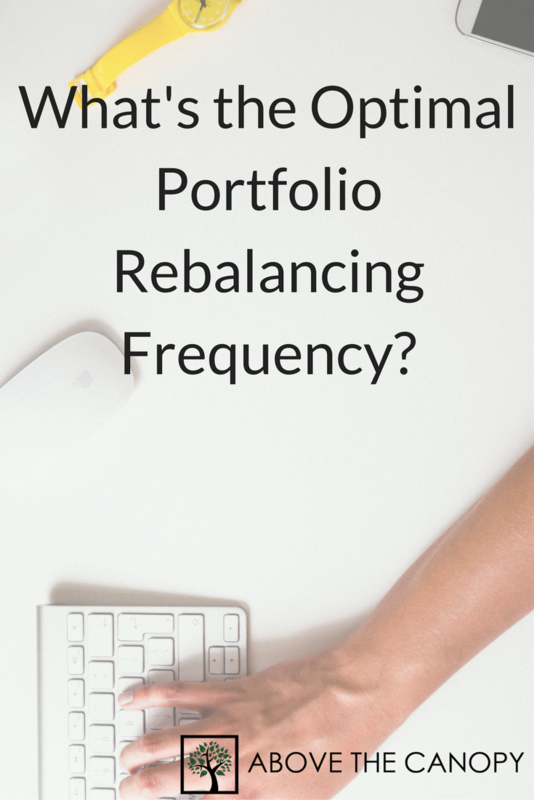 So what would happen if you never rebalanced your portfolio? Over time, the higher risk/return asset classes would “out-compound” the lower risk/return asset classes, and your portfolio would lean more and more heavily toward equities. Additionally, although you’d incur more risk by being weighted more heavily in higher risk/return asset classes, your average long term returns would increase as well. Not to mention, you’d completely avoid any transaction costs! This idea takes us back to the central point of the post: every portfolio falls somewhere along the spectrum of risk and return, and should fall at the point that’s best for you. Rebalancing simply assures that you stay at or near this optimal point. Its a way to keep your risk in check. Since your asset allocation will naturally veer toward the higher end of the spectrum over time, the tighter your rebalancing parameters (via narrower risk thresholds or more frequent rebalances), the closer you’ll stay to that optimal point, the less risk you’ll take, and the lower your returns will be. The “looser” your rebalancing parameters, the farther you’ll stray, the more risk you’ll take, and the higher your long term returns will be. The final point I’ll make in this post is that whatever your rebalancing strategy is, it will also resemble a tilt toward either a momentum or value investing strategy. Momentum investing is a strategy where you purchase securities that have already appreciated because you expect their rise to continue. You are betting on a security’s momentum, which is very similar to growth investing. For example, a momentum strategy would be to invest in companies like Amazon or Netflix. Both these stocks have produced huge returns in recent years after introducing innovative new products to the market. By investing in either one, your hope would be that they could continue growing at a rapid pace, continue bringing new ideas and products to market, and that their upward momentum would continue. On the other hand, value investing has to do with mean reversion. Rather than identifying securities that will continue to “run”, in value investing your objective is to find mispriced securities that are trading at prices above or below their intrinsic value. A value strategy might be to invest in more stable companies like GE or Coca-Cola after a recent sell-off. Your “thesis” would be that the shares are worth more than where they’re currently trading in the market. In a value strategy you’re not expecting a current trend to continue (momentum). You’re expecting it to bounce back toward it’s long term average. The looser your rebalancing strategy (again via either longer time periods or wider risk thresholds), the more your strategy will favor momentum investing. You’d be selling “winning” investments less frequently, giving more latitude to the investments you expect to continue running. Alternately, the more frequently your portfolio is rebalanced, the more it favors value investing. If your strategy is to purchase securities that have just fallen and you believe are underpriced, your expectation is that their trend will reverse. A tighter rebalancing strategy means that you’d sell the winners that are priced too high, and use the cash to invest more in the losers that are about to rebound. In my practice I review my clients’ accounts quarterly, and then make an active decision about whether or not to rebalance. 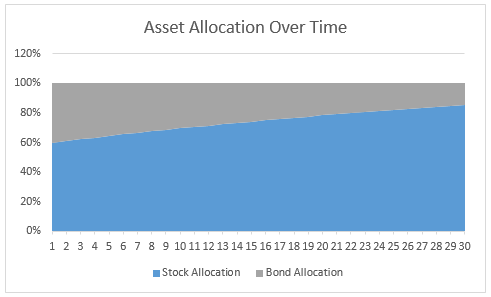 If a portfolio strays too far from the intended allocation (based on my clients’ individual comfort levels) I’ll rebalance their accounts as long as it’s not overly costly. This gives me a nice balance between consistent oversight and the latitude to decide whether “the juice is worth the squeeze”. In the end, the right rebalancing policy is the one that re-aligns your portfolio just often enough to keep your risk in check, but not so often that you sell positions before they’re done appreciating. You’ll want to consider whether your personal investment philosophy tilts toward value or growth investing, and weigh whether the benefits of a rebalance justify the cost. Like most financial planning decisions, the best rebalancing frequency really depends on your personal circumstances. 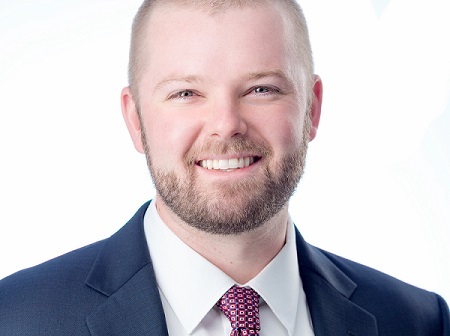 Posted in Financial Planning, Investing, Retirement and tagged 401k rebalancer, constant weighting asset allocation, how frequently should you rebalance your portfolio, how often should you rebalance your portfolio, portfolio rebalance, portfolio rebalance frequency, portfolio rebalancing, portfolio rebalancing frequency, rebalance 401k.